Jetpack is one of the most versatile plugins you can use on your WordPress site. I think every blogger can benefit from this plugin. 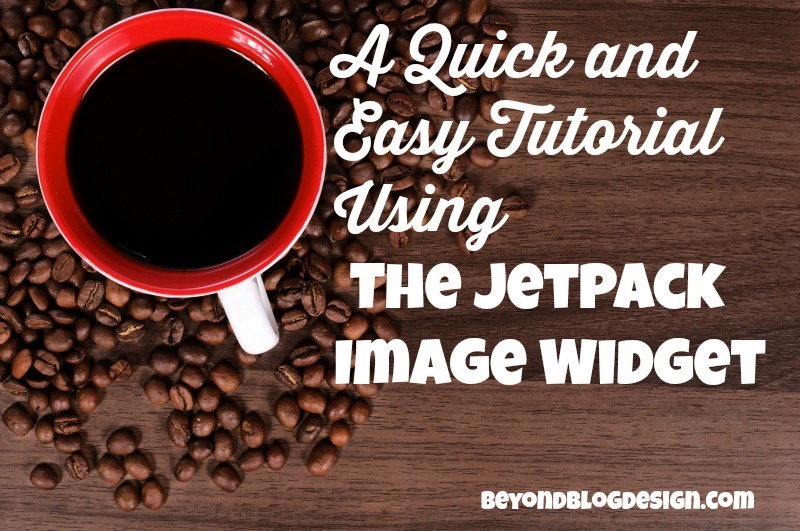 Jetpack does the work of 10-20 plugins in one. And because it is built by Automattic, the folks who build WordPress, you can be sure that it will be compatible with your site. One of the great built-in features of Jetpack is the Image widget. A very popular question I get is how do I put this bio – or image – or website logo into my sidebar? And the answer, my friends, is the Jetpack Image Widget. Once you have installed Jetpack, this widget will automatically show up in your widget list when you go to Appearance>widgets in your dashboard. 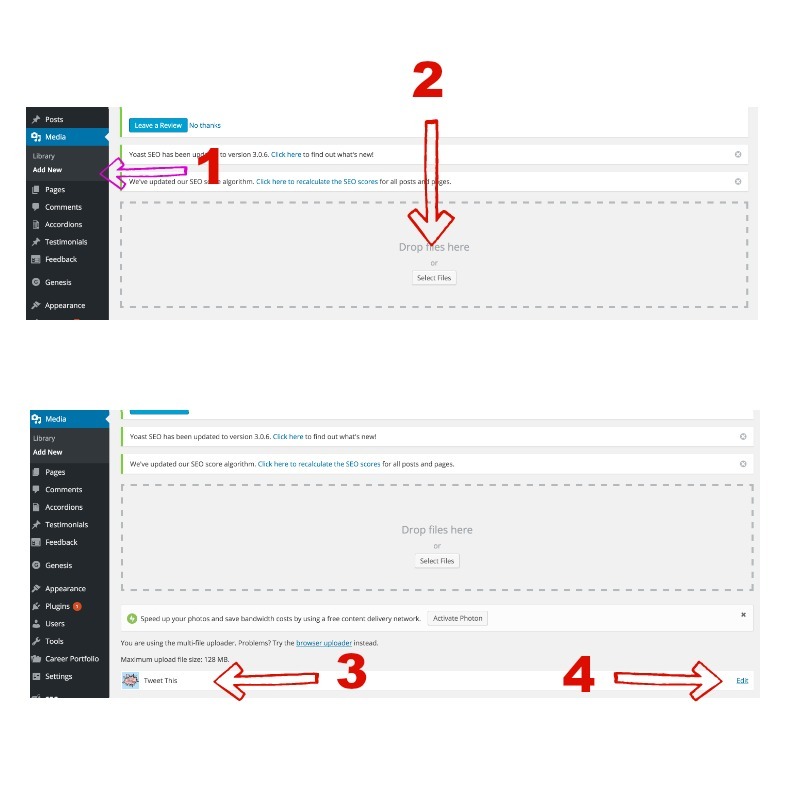 Here is a quick tutorial on how to add a clickable image, that links to anything, in your sidebar. Please read through the whole tutorial before giving it a try! Drag that widget into your primary sidebar. If you have your image* handy, just drag and drop it in the box. If it’s easier, click “select files” and navigate to the image you want to use. This is where you will see that your image has uploaded. You need to click the edit button. This box pops up when you click the edit button. Put your cursor inside the box that says URL. Place your cursor anywhere in the line and press Command A, that will automatically highlight the whole line. And from there you can click Command C to copy, or do it the way you are most used to. In the end, just make sure you have copied that URL. With the URL saved go back to appearances>widgets and open the Image (Jetpack) widget by clicking the little down arrow. Give your widget a title. This isn’t always necessary, some people let the image do the talking. So the title is optional. This is where you copy the URL from your image. So put your cursor in the box and click paste. Align your image. There is rarely a case for any other alignment than center, so I always choose center to be on the safe side. 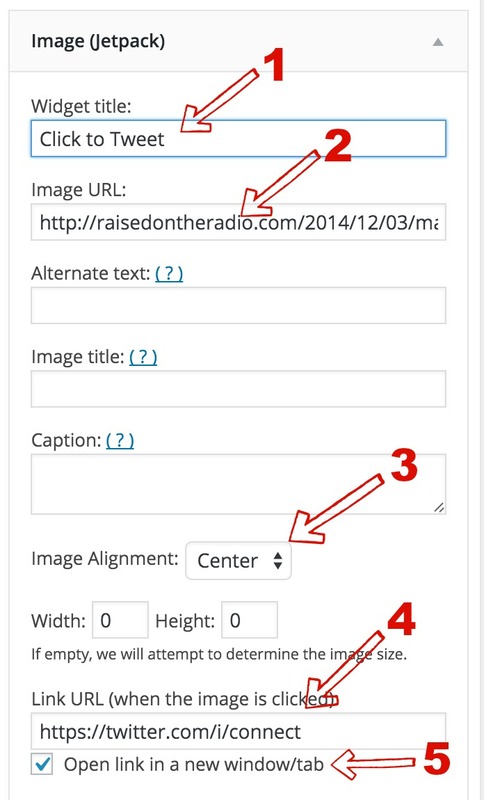 This is where you put the URL you want your image to go to when it’s clicked. In this case I used my Twitter to match the image I chose. 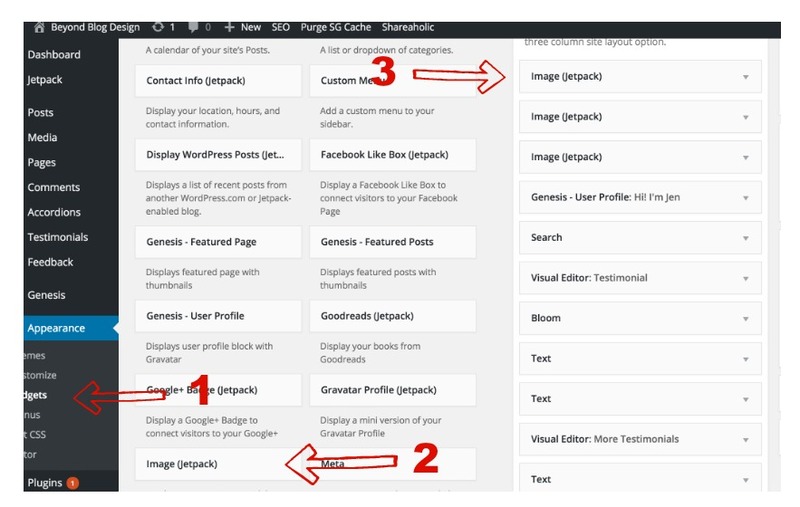 Now save your changes inside the widget, and refresh your blog page. You should see the new image and when you hover over it you should see that it links to another page! *A word about your image. For best results, please determine what size is the best size for your sidebar. While this widget will size an image down to fit, it cannot make it bigger. Also, by using an image that is bigger than what you need you run the risk of slowing down your site. What other quick tutorials can I help you with? Do you still have questions? Great tutorial, Jen! There is so much in JetPack but I haven’t had time to really explore. This will give me the push I need! There’s more to come on Jetpack, and just quick tutorials as well. Let me know if there’s anything you want to know specifically!